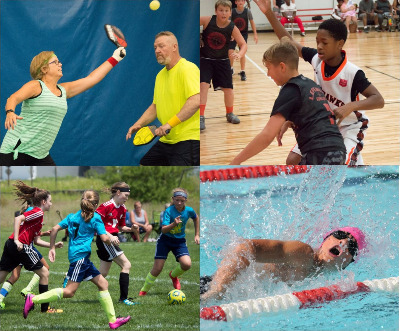 The Nebraska Sports Council, established in 1985, conducts several events and programs for Nebraskans of all ages and abilities to promote healthy and active lifestyle choices. The newest event from the Nebraska Sports Council, the Nebraska Corporate Games, is a company-based competition that takes place from April 22-May 1. The event facilitates teamwork, company unity, camaraderie, and corporate wellness through healthy competition. The Nebraska Corporate Games offer 11 events, including competitive events, such as basketball and volleyball, as well as non-competitive events, like the fitness walk and brew tour ride. The Nebraska Corporate Games can also be used as a fun way for companies to recruit and retain employees. 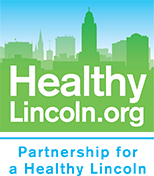 A free, year-round online activity/training program called the LiveWell Challenge provides motivation in the form of virtual badges for Nebraskans to exercise regularly. The challenge is more than just being physically active. It’s about connecting Nebraskans and discovering challenging events and opportunities. The flagship event of the Nebraska Sports Council is the Cornhusker State Games, set to kick off on Friday, July 19 at Seacrest Field. Opening ceremonies will include a parade of athletes, skydivers, fireworks, patriotic tribute, mascot showcase, and the torch lighting. The event will feature competition in 70 sports at venues in Lincoln, Omaha, and surrounding communities. Most events will take place from July 19-28. Over 11,000 people are expected to participate this year. The Cornhusker State Games is a qualifying event for the 2021 State Games of America, which will take place in Ames/Des Moines, Iowa. The late summer Mud Run, youth-only Pumpkin Run, and the late fall Awards Banquet round out this year’s programming. All told, more than 20,000 Nebraskans will participate.